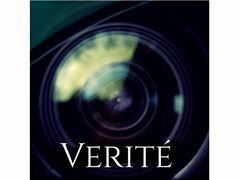 Verite synopsis - When an ambitious young filmmaker accepts a job capturing a young man's apocalyptic visions on film, he expects that he will be witnessing his subject's descent into madness. But, the longer he stays, the more he too begins to believe. Scene synopsis for the 25th - A fight scene that takes place in a shady club with our three leads David, Joseph and Lydia. We are in need of 8 Extras. The Emerson rooftop bar and club 141-145 Commercial Rd, South Yarra VIC. All female extras must be dressed to impress the questionable male clientele of the club. We'd like quite a sexualised look. All men must be dressed in an after work suit and tie (desperado) look.